WASHINGTON, Nov 4 (APP): The Pakistani society has undergone a dynamic transformation during the past three years through consolidation of democracy, free media and independent judiciary, Pakistan’s Ambassador to the United States told DC-based Women’s Foreign Policy Group said here. prominent women leaders, activists and corporate executives from Washington, Ambassador Jalil Abbas Jilani briefed the group about the government of Prime Minister Nawaz Sharif has also take concrete steps for peace and stability in the South Asian region. Spouses of several Congressmen and diplomats are also members of the Women’s Foreign Policy Group. The ambassador underlined that that despite some differences, Pakistan and the US shared a commitment to democracy, human rights, economic growth, and respect for international law being essential to long-term regional as well as global peace, stability, and prosperity. the world and looked forward to continued US cooperation and support”, he added. 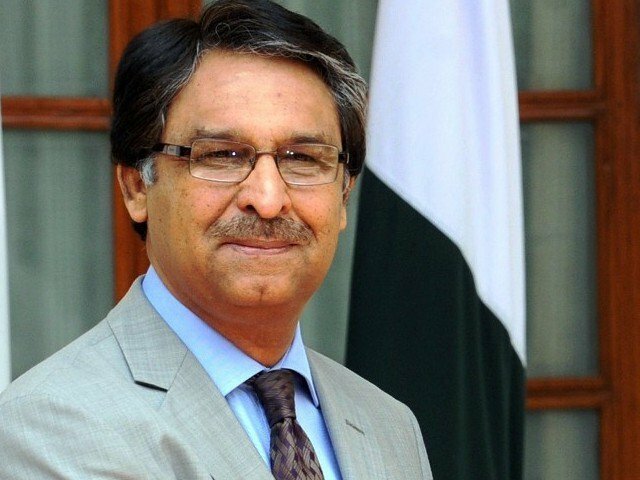 Jilani informed the group about the inherent strength and resilience of the bilateral ties based on the shared objectives of democracy, mutual respect, peace and prosperity. These common goals, ambassador emphasized, had held the two countries together in some of the most testing times in the recent history. Ambassador also shared with the audience the dynamic transformation of the Pakistani society in the last few years reflected through consolidation of democracy, free media and independent judiciary. hallmark of today’s Pakistan, ambassador highlighted. Addressing some of the security related concerns projected through the local media in the US, Ambassador briefed the group about the extremely positive results of Pakistan’s effective military operations in the border region to eliminate terrorist outfits of all shades and colors. operations was unprecedented in the history of count-terrorism efforts and made possible because of the heroism of Pakistan’s security forces and the selfless sacrifices of the people of Pakistan. Ambassador added that the improved security situation in the country was contributing towards enhanced economic activity reflected through positive economic outlook of Pakistan by the international financial and credit rating agencies. emphasized that Pakistan was pursuing the policy of a peaceful neighbourhood and taking affirmative actions to improve relations with its immediate neighbours. He elaborated how Pakistan and the United States had joined hands in the common objective of promoting peace in the region through the Quadrilateral Coordination Group (QCG) process was aimed at facilitating direct talks between the relevant stakeholders in Afghanistan. During the recent Brussels Conference, Pakistan had also committed an additional $500 million for development projects in Afghanistan. Ambassador regretted how the intransigence of the current Indian leadership was compromising prospects of peace in the region by resorting to repeated violations across the line of control and intensifying its brutal crackdown against innocent Kashmiris demanding their right to self-determination promised to them by the international community and India. Ambassador Jilani emphasized that war was not an option for two nuclear neighbors. Tensions between India and Pakistan would not only retard economic growth but was also detrimental to regional peace. It was imperative that India should resolve all issues in accordance with international legality, justice and fair play.